This is a common skin condition that causes rough patches and small acne-like bumps often seen on the arms, legs, thighs, cheeks, and buttocks. The bumps are usually white and sometimes red; they generally don't hurt or itch. 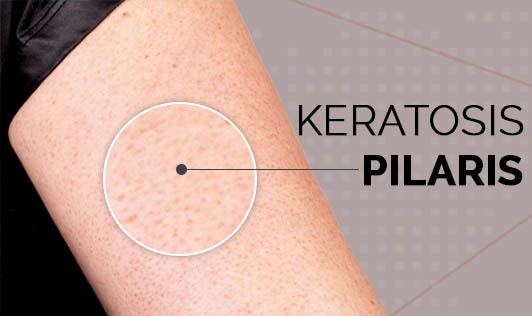 Keratosis pilaris can be quite wearisome because it's difficult to treat. However, this condition isn't often serious and usually disappears by age of 30. Keratosis pilaris is genetic in origin but the precise cause has not yet been determined. Keratosis pilaris can occur at any age but is common in young children. If your condition becomes worrisome, contact your doctor for an appropriate diagnosis!